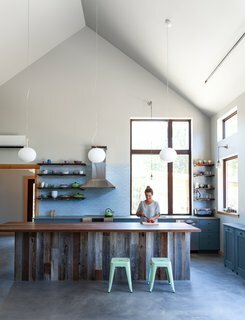 From appliances and lighting to tiles, cabinetry, and shelving, say hello to six modern kitchen trends that are sure to stand the test of time. 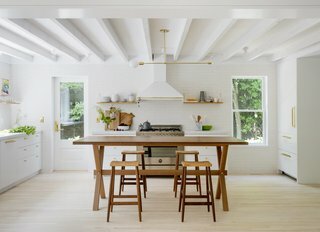 As thrilling as a kitchen renovation can be, we know modern revamps can come with quite a hefty price-tag, which is why it's essential to integrate design that not only illustrates your personality and style, but will also stand the test of time. Here, we reveal six contemporary kitchen trends that will last for years to come. Open kitchen shelving is a wonderful way to display any kind of fancy dinnerware or family heirlooms you own that have previously been hiding behind closed cabinets. Serving as a contrast to all of the opaque or glass-doored cabinets that have been the norm for years, open shelving has the benefits of being budget-friendly and eye-catching. While it does take some thought and work to make your display as cohesive and artful as you’d want it, it is easy to install and will motivate you to not accumulate clutter. Existing marble tile was retained in this kitchen renovation precisely because it is so timeless. 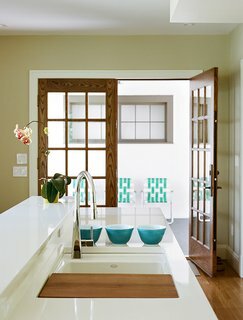 It’s hard to go wrong with classic subway tiles that can be installed in a variety of ways. For instance, you can opt for stacked joints instead of alternating, or a vertical installation instead of a horizontal display. However, there are lots of other charming shapes that will not fade in style anytime soon—think penny, hexagonal, and even mosaic tiles. 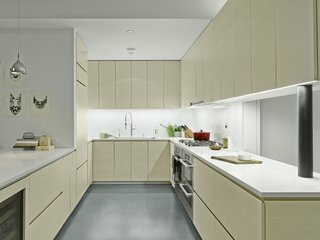 Under-cabinet lighting significantly improves the amount of light on a work surface, allowing for more precise cleaning, cutting, and prepping food. 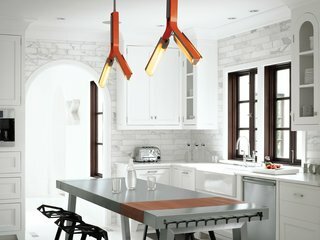 We can never overemphasize how important good lighting in any space is, and this is particularly true in the kitchen, where appropriate lighting will let you chop, cut, clean, and see what you’re cooking with more accuracy. More so, even if you don’t like a lighting fixture 10 years after installing it, as long as the wiring is there, it’s relatively easy to swap it for a new look. A lack of upper cabinets keeps the double-height ceilings the focus of this kitchen. We realize this might be a controversial trend for many, as upper cabinets can provide such great storage space. Yet the depth of upper cabinets can often make a space feel smaller than it really is, and many of these shelves, especially the upper-level ones, are virtually impossible to reach without a step stool. 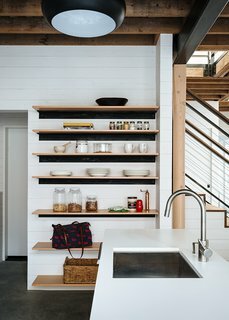 Swapping out upper cabinets for open shelving will still allow you visual display and store cooking items, while also integrating a stylish, minimalist look. A large, white porcelain sink is complemented by a more sculptural, off-center faucet with an integrated sprayer. These items may have been more of a luxury in the past, but today they’re just about standard. Even if you don't wash many dishes by hand, a large sink with a built-in sprayer in the faucet is great to have for those larger pots and pans that are too large to fit in a dishwasher. 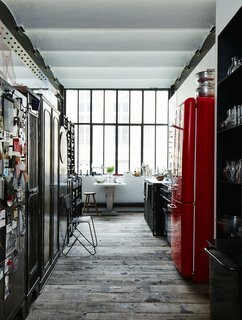 A Smeg refrigerator is one of a series of red accents that punctuate this black-and-white space. If you're in the mood to trade your stainless steel appliances for another look, the curved, bright-colored items from Smeg are a fun option to consider. Not only are these tools equipped for modern-day living, but they also retain a vintage appeal, adding timeless character to your space.